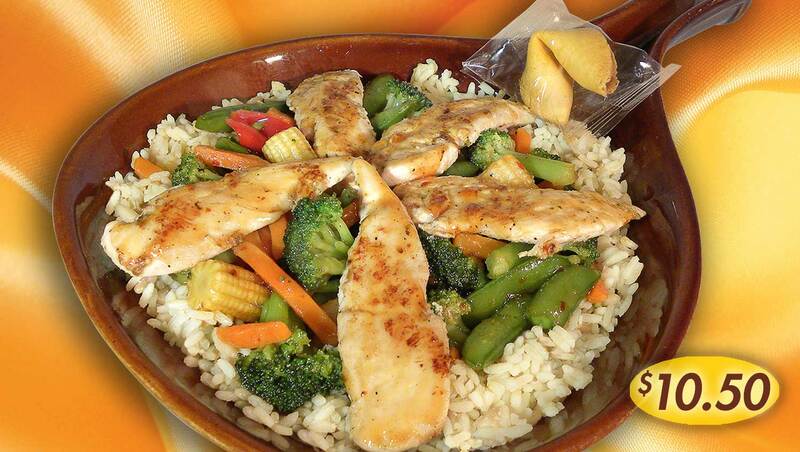 Grilled chicken tenderloins and oriental stir-fry veggies… served over rice. 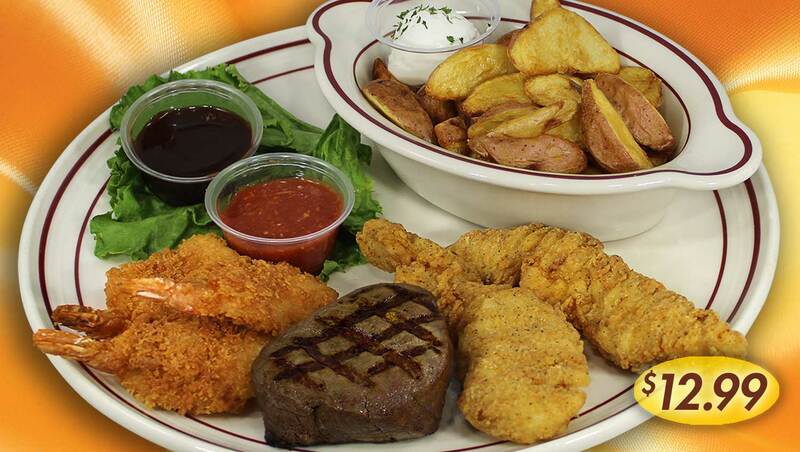 Choice filet served with some of our butterfly crunch shrimp, breaded tenders and a side of roasted red skin potatoes topped with a sprinkle of Romano seasoning. 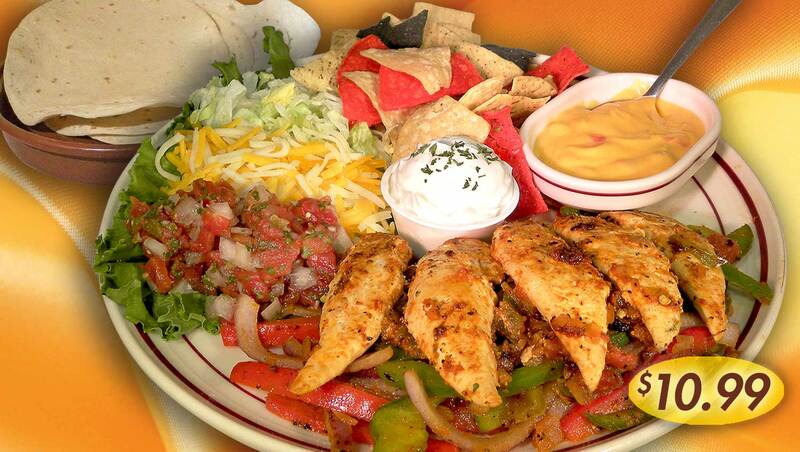 Grilled chicken tenderloins, onions, peppers and tomatoes sautéed in our flavorful fajita seasoning… with shredded lettuce & cheddar jack cheese served with fresh pico, sour cream, queso dip and warm grilled floured tortillas to roll with. 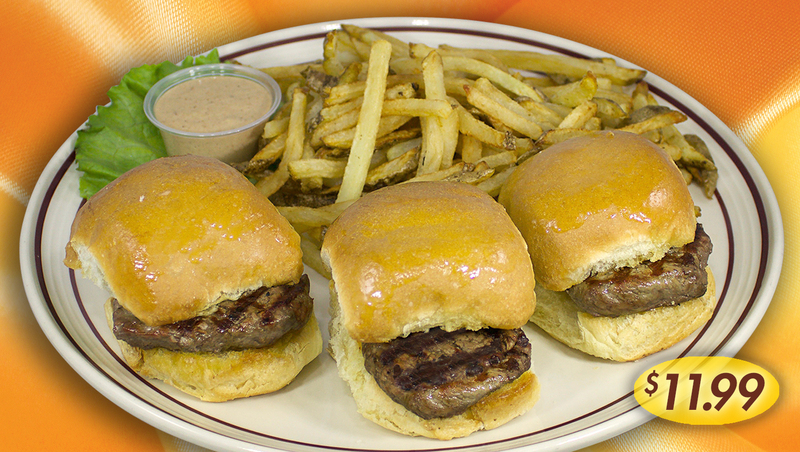 Three broiled choice filet sliders - served on grilled mini buns… with a side of horseradish steak sauce & our fresh cut fries. 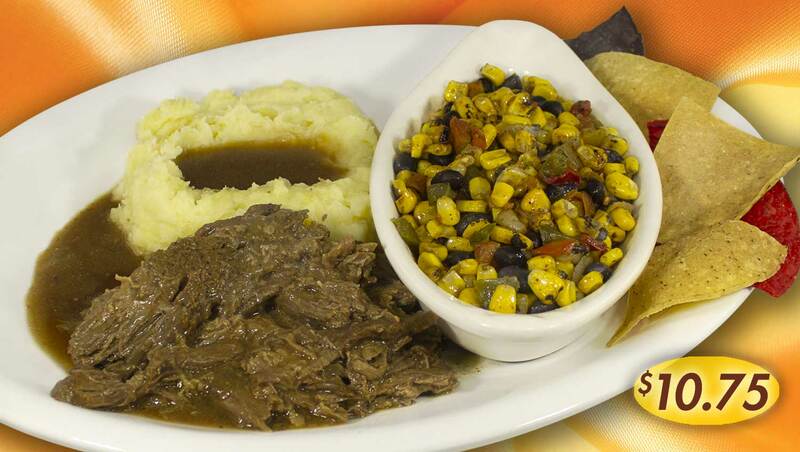 Slow roasted, moist and tender pot roast, mashed potatoes n’ gravy & fresh steamed veggies. 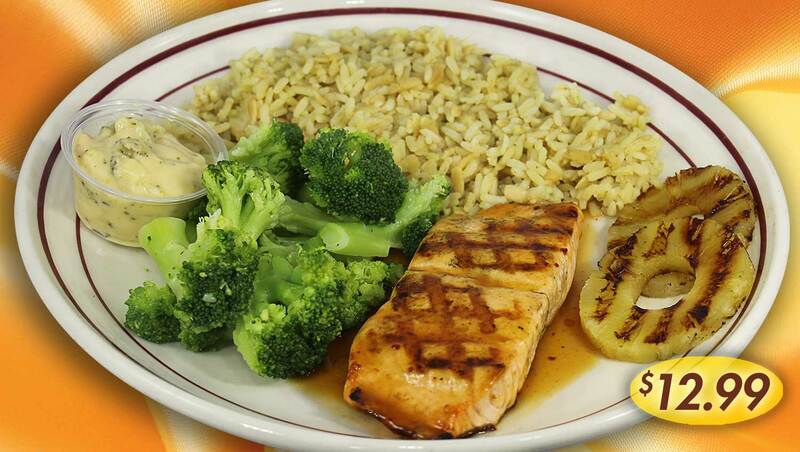 Broiled salmon brushed with an orange citrus glaze, served with broccoli, rice pilaf & grilled pineapple.